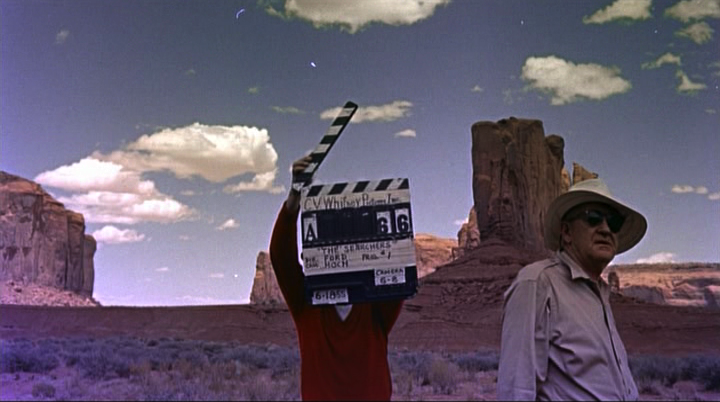 John Ford’s THE SEARCHERS is without question an American Film Classic. I’d even go as far as saying it’s my second all-time favorite film, directly behind CASABLANCA. Every shot is a Remington Old West masterpiece, every actor perfect in their role, large or small, and not a minute of footage is wasted. The film has also stirred up quite a bit of controversy over time for John Wayne’s portrayal of the main character Ethan Edwards. The plot is structured like Joseph Campbell’s “Hero’s Journey”, but let’s get it out of the way right now: Ethan Edwards is no hero. He’s a mean, bitter, unreconstructed Confederate who’s been on the shady side of the law since war’s end. When he returns to his brother Aaron’s homestead, he makes no bones about his distaste for “half-breed” Martin Pawley (really an eighth Cherokee). His hatred of Native Americans even extends to their dead, as we see him shoot out the eyes of a Comanche corpse so his soul “must wander the spirit world between the winds”. He taunts Martin when the young man unwittingly marries the squaw Look, derisively referring to her as “Mrs. Pawley”. Ethan is a hard man to get along with, yet for all his macho bravado (“That’ll be the day”, he intones whenever someone challenges him), he shows signs of compassion throughout the film. He’s tender with his nieces and nephews (and sister-in-law Martha; there’s a suggestion that they were once more than friends). He spares Martin the agony of looking into the burned out homestead to gaze upon the bodies of his loved ones. His love for family is delineated as he tries to shield niece Lucy’s grim fate from Martin and young Brad Jorgensen, and his response when Brad asks what happened is tortured: “What do you want me to do, draw you a picture? Spell it out? Don’t ever ask me! Long as you live, don’t ever ask me”. Ethan’s search for surviving niece Debbie, captured by the renegade Comanche Scar, has a murderous purpose; he intends to kill the despoiled girl to save her from what he considers a fate worse than death – miscegenation. Yet when he finally tracks her down, blood in his eyes, he has a change of heart, and the softly spoken, haunting words, “Let’s go home, Debbie” never fail to mist me up. Ethan Edwards is a complex character, Kris Kristofferson’s “walking contradiction” come to life, as imperfect and flawed as the rest of us. 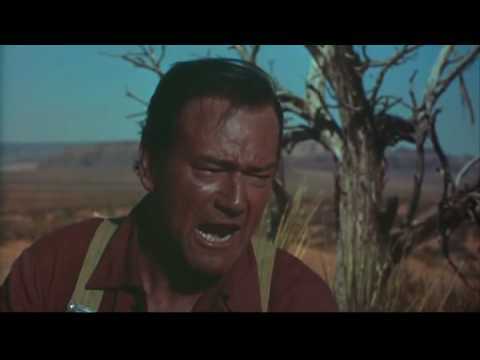 It is indisputably John Wayne’s finest screen performance; the fact he wasn’t even nominated for the Academy Award is another in the long list of Oscar crimes. Wayne’s dark Ethan Edwards is counterbalanced by Jeffrey Hunter’s sweet-natured Martin Pawley. A somewhat naïve young man, Martin longs for acceptance by ‘Uncle’ Ethan (Edwards disdains the term when Martin uses it), and is as dogged in his determination to find Debbie as the older man, though his intentions are more altruistic. Martin’s letters home to his sweetheart Laurie (played by Vera Miles) serve as narration to the story, and the scenes they share together as comic interludes to the film’s heavy tone. 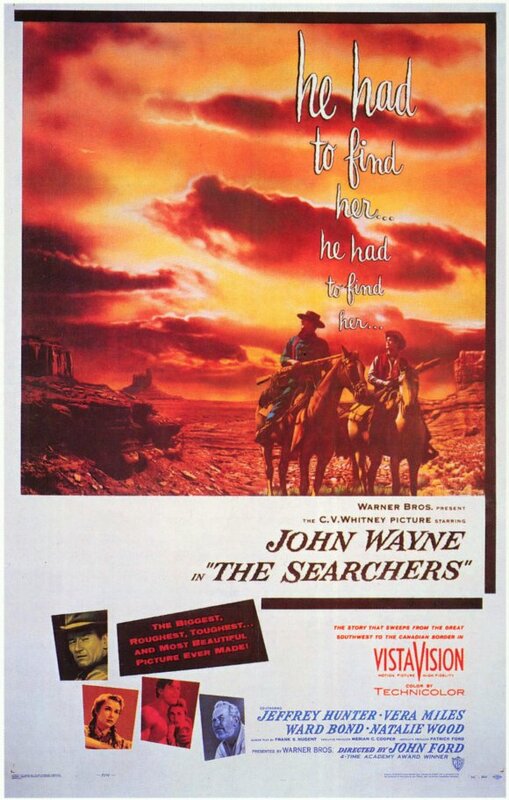 A 20th Century-Fox contract player, Hunter got his big break with THE SEARCHERS, and plays well off Wayne’s Edwards (Ford used the actor again in both THE LAST HURRAH and SERGEANT RUTLEDGE). Two of his most famous roles were in Nicholas Ray’s 1961 Biblical drama KING OF KINGS (which Hunter referred to as ” I Was a Teenage Jesus”) and the pilot episode of STAR TREK as Enterprise Commander Christopher Pike, later reworked into a two-part episode titled “The Menagerie”. 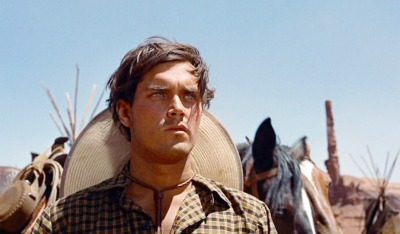 Jeffrey Hunter continued his career in Europe, including a pair of Spaghetti Westerns (THE CHRISTMAS KID, FIND A PLACE TO DIE) before succumbing to a brain hemorrhage in 1969 at age 42. 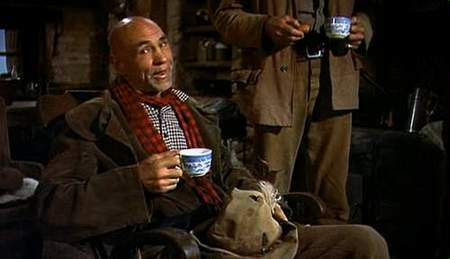 By far my favorite character in THE SEARCHERS is the slightly crazy Ol’ Mose Harper, played by sagebrush vet Hank Worden. Long a Ford favorite, this was Worden’s biggest role, and he surely takes the tommyhawk and runs with it! The simplistic Mose greets every insult to his intelligence with a hearty, “Thank ya kindly!”, and holds the key to finding Debbie, wanting only in return “Just a roof over Ol’ Mose’s head, and a rockin’ chair by the fire – my own rockin’ chair”. Worden, best known to modern-day viewers as the waiter on the original TWIN PEAKS, was a member in good standing of the Ford Stock Company, and was used by Wayne in many of his later films (you can read my piece on Hank Worden’s career by clicking this link ). 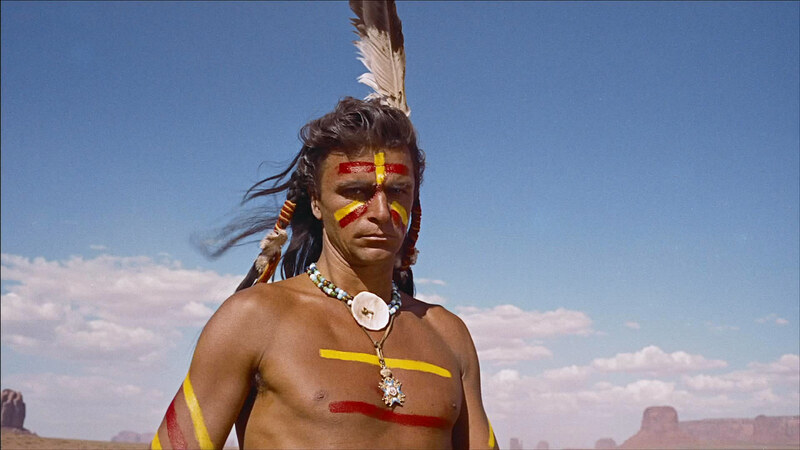 Henry Brandon as Comanche war chief Scar is Ethan’s opposite number; he’s as filled with hatred for the white race as Edwards is for the Indians. Unlike the noble opponents found in many Wayne Westerns (SHE WORE A YELLOW RIBBON, MCLINTOCK! ), Scar is as ruthless and uncompromising in his hostility as Edwards, and his reaction to the white man’s hatred and oppression is hatred and oppression of his own, which only serves to fan the flames of discord between the races. It’s a lesson neither Scar nor Ethan ever learn, and continues today on the extremes of the political spectrum (Left and Right). The rest of the cast is equally superb, including Natalie Wood as Debbie, Ward Bond as Reverend/Texas Ranger Samuel Clayton Johnson, Ken Curtis as Martin’s love rival Charlie (they engage in a comic brawl over Vera Miles’ affections), John Qualen as Lars Jorgensen, and Harry Carey Jr as Brad. 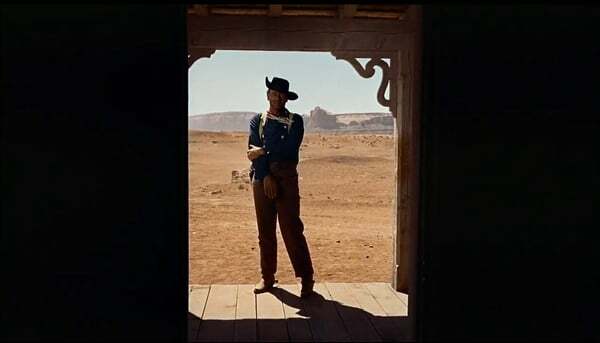 Harry’s mother Olive Carey is cast as Mrs. Jorgensen, and in that famous final shot in the doorway Duke pays homage to her late husband Harry Carey Sr. by grasping his right arm at the elbow, a pose Carey struck in many a Western. 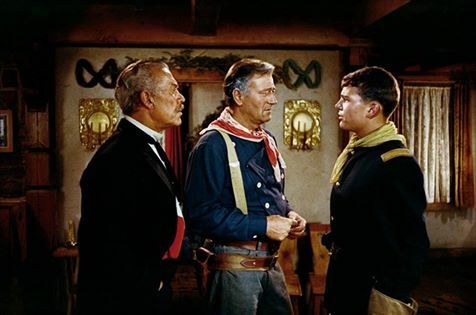 Wayne’s son Patrick appears toward the end as callow Lt. Greenhill, and it’s fun to watch The Duke watching Pat act opposite Bond; that bemused look on his face is priceless! There are other Familiar Faces dotting the landscape as well, Danny Borzage, Dorothy Jordan, Mae Marsh, Antonio Moreno, Chief Thundercloud, and Natalie’s sister Lana Wood (playing Debbie as a child) among them. 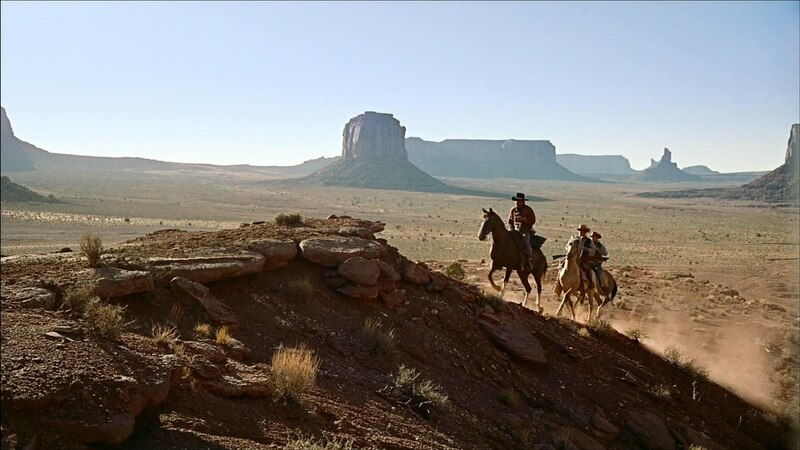 Speaking of landscapes, DP Winton Hoch beautifully brings Ford’s favorite shooting canvas Monument Valley to life in breathtaking VistaVision and Technicolor. 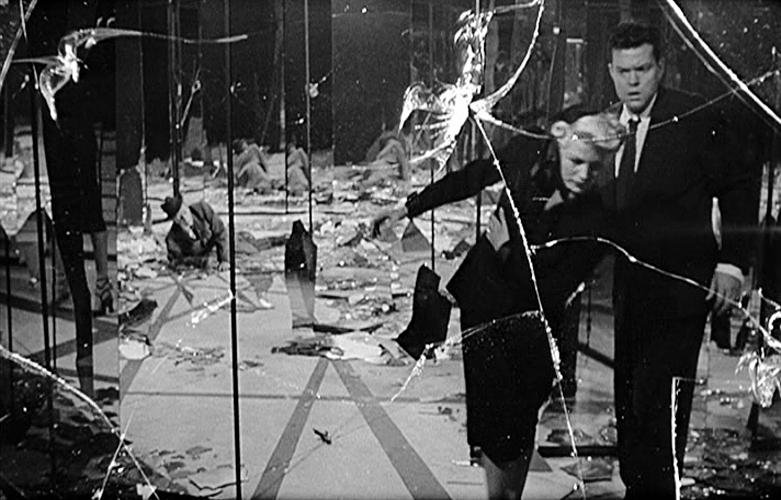 Additional location footage was shot in California, Utah, and Alberta, Canada, as well as Hollywood’s soundstages, all blended brilliantly by editor Jack Murray. And no one other than the great Max Steiner could do justice to a film of this magnitude; his score ranks among his all-time best. As for the Old Master himself, John Ford was at the peak of his creative talent, his keen eye for detail making every shot a work of art. But THE SEARCHERS would be his last great masterpiece (though a case could be made for THE MAN WHO SHOT LIBERTY VALANCE). Ford was 66 years old, his eyesight failing, and his years of alcohol abuse were beginning to take their deadly toll. 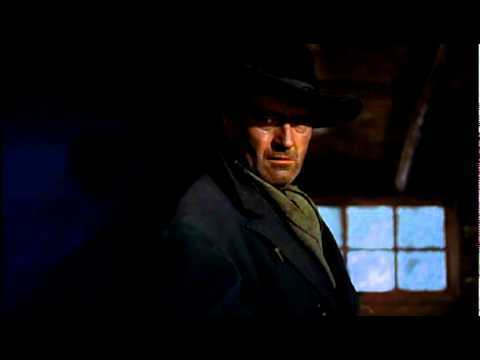 His pictures after this seemed to be losing their vibrancy, that distinctive John Ford touch. 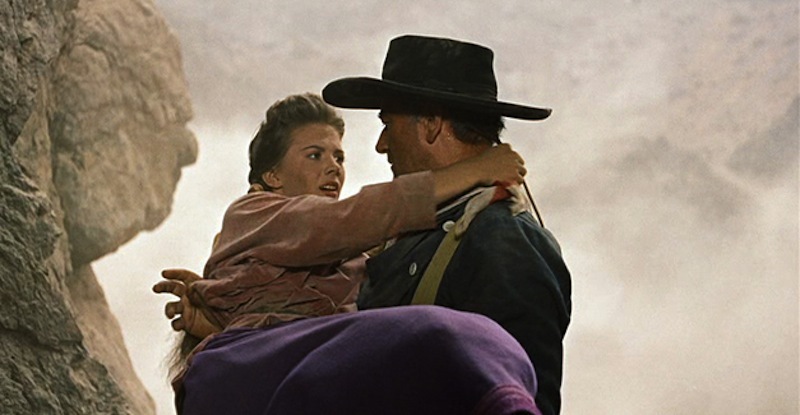 Thus it is that THE SEARCHERS is the note the director should’ve ended on artistically, but unfortunately life never truly imitates art, does it? It’s a film that consistently ranks high in critic’s and filmmaker’s top tens, and one worth repeated viewings to soak in all the nuances of characterization and mise en scene. THE SEARCHERS is a film I don’t just recommend, I implore you to watch. It is truly that damn good. Thanks, Eric, definitely my favorite, too!